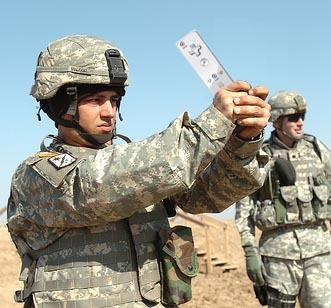 The Pentagon is apparently looking into the Nintendo Wii for “military applications.” Seriously? You’re going to outfit soldiers with the goddamn Wii, a videogame system with motion sensor technology apparently so lacking, Nintendo is now releasing the MotionPlus addon to make it work the way it was originally intended? Good luck with that, Pentagon. Which brings me to my point. Why are people still freaking out over the Wii? It’s been out for years, and people are still fighting eachother over the right to purchase it for their spoiled offspring. It’s because people just don’t understand what it does or how it actually works. It’s not magic. It doesn’t translate your movements 1:1 into the movements of your on screen character. It works on a very basic level, and then with arguably imperfect regularity. Wii Sports may be the height of the technology’s implementation, and if you’ve actually played that game for any length of time, you know how often it actually registers or responds to your frenetic flailing about. 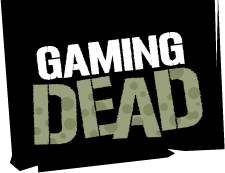 Let’s just all agree to stop thinking the Wii is some sort of amazing virtual reality device, okay?